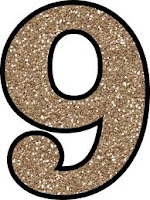 People born on 9,18,27 of any month are said to be of number 9. Let's talk about how are they as spouses and how do they lead their marital life. They have natural attraction towards people who are born between 21 July to 21 August and 21 November to 20 December. Otherwise also they are inclined towards people with number 3,6,9. Their good health and good blood circulation makes their married life exciting. They choose a good looking partner and to a very extent love them as well. They have a good married life but the only problem with them is their crankiness and sudden anger. They perfectly sketch the image of their life partner in their head. They are food lovers and their wives fulfill their wishes as well. The difficult part is satisfying the romantic picture of physical love. They could be doubtful about their wife. After marriage they may feel their wishes coming true. If they have a good married life and maintain good nature then their wife appears to be in comparable. They are wonderful woman with big dreams , talkative and have a very big social circle. They help their partners in their business and they also keep looking for some personal income that they would use on their family. They have a good life in if they find a match who's like them , energetic.